Boston Red Sox – The youth movement is in full effect in Boston. With Jackie Bradley Jr,, Xander Bogarts and Will Middlbrooks poised to have big years, the mix of quality young players with experienced vets should have enough to bring 2013’s World Series Championship back to the playoffs as the AL East Champion. Baltimore Orioles – If Manny Machado was at full strength going into the season, I’d be more inclined to put the O’s on top of the division. When healthy, the O’s could have one of the best infields in baseball. Tampa Bay Rays – A full year of Wil Myers along with a pretty stacked rotation of David Price, Alex Cobb, Matt Moore and Chris Archer with Grant Balfour closing out games, this team could be really dangerous. Should be a good battle between the Rays and O’s all year, probably ending in the one-game Wild Card matchup. New York Yankees – The Yankees could easily win this division, but with so many aging players and players coming back from injuries, I just don’t have the faith that they’ll all be able to stay healthy for the long haul. Toronto Blue Jays – Last off-season the Blue Jays tried to make all the moves, it didn’t work. This year, they barely made any moves, it still won’t work. Detroit Tigers – While the Tigers lost some key players during the off-season, most notably Doug Fister and Prince Fielder, they should be able to hold off the Indians in the division. A rebuilt back-end of the bullpen with Joba Chamberlain and Joe Nathan will help Phil Coke and Al Alburquerque in shortening games. Cleveland Indians – It’s going to be interesting to see where Carlos Santana ends up playing the majority of the time, but the real story here is the Indians rotation. With a bevy of starters headed by Justin Masterson, there shouldn’t be any question about Cleveland’s ability to hold off the, medicore at best, bottom of the AL Central. Kansas City Royals – The Royals are full of guys that should be amazing, but they’ve never really been able to put it together. They should have enough hitting to put them right in the middle of this division, and if things start clicking and either the Tigers or Indians struggle, they could quickly become the #2 team in the division. Minnesota Twins – No amount of back-end rotation arms from New York (Mike Pelfrey, Phil Hughes) will help the Twins this year. While 2014 won’t be their year, with the talent the Twins have in their farm system, these guys should start being a serious contender for the division in the next 2-3 years. 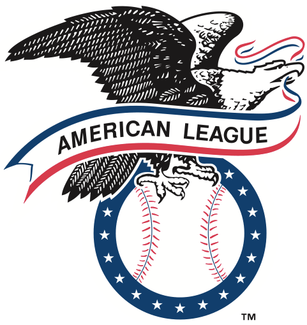 Chicago White Sox – With a questionable rotation after Chris Sale, and some young talent around the field they should find themselves at, or just below, .500..
Los Angeles Angels – I literally changed this division while in the middle of writing this post. I’m going to assume something (we all know how that works) about the Angels. Albert Pujols and Josh Hamilton can’t possibly play as bad as they have. If they can even play to half their potential, the Angels have a chance to win this injury riddled division. Oakland Athletics – Up until I wrote the blurb for the Angels I had the A’s winning this division. However, with injuries all over the field, I can’t see the A’s winning the division this year. They just don’t seem like a team that has anyone that can say “alright, get on my back” and run off a streak of W’s. Still, with the injuries to the Rangers and M’s, the A’s might have enough in the tank to finish second. Texas Rangers – After one of the worst Spring Training’s in history injury-wise, it looks like the Texas Rangers might not be able to field their projected Opening Day lineup until sometime in late May / early June. Seattle Mariners – Signing Robinson Cano was a great move, the problem was they didn’t do much to protect him. They have a roster full of guys who have spent a ton of time in platoon situations and with starting pitchers Hisashi Iwakuma and Taijan Walker starting the season on the DL, and no real protection for Cano, the M’s won’t be knocking on the door to the playoffs this year. Houston Astros – The Astros are going to spend another handful of years at the bottom of the AL West and, most likely at the bottom of the MLB standings. While they are better than the 2013 Astros, they probably aren’t 11 games better than them, so I’ll say they lose 100+ games this year.